The Can-in-Can system of Nussbaum has recently been reengineered and it proves to be the most convenient packaging for high-viscosity active substances like silicones, pastes, creams and greases. The inner pouch contains the product and separates the ingredients from the propellant and makes it absolutely diffusion prove. The aluminium packaging is sealed at a one-inch opening to fit all common valves and actuator systems. Standard propellants such as propane and butane are compatible with this aerosol can, and a rubber plug at its base guarantees an air tight package. 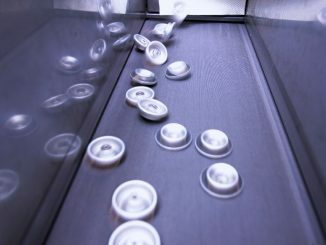 The Can-in-Can System is not only used in the technical- and automotive industries but it also demonstrates being an attractive packaging solution for hair colouring components and pharmaceutical products. The aerosol can is available in different diameters and the filling content ranges from 32ml up to 290ml.